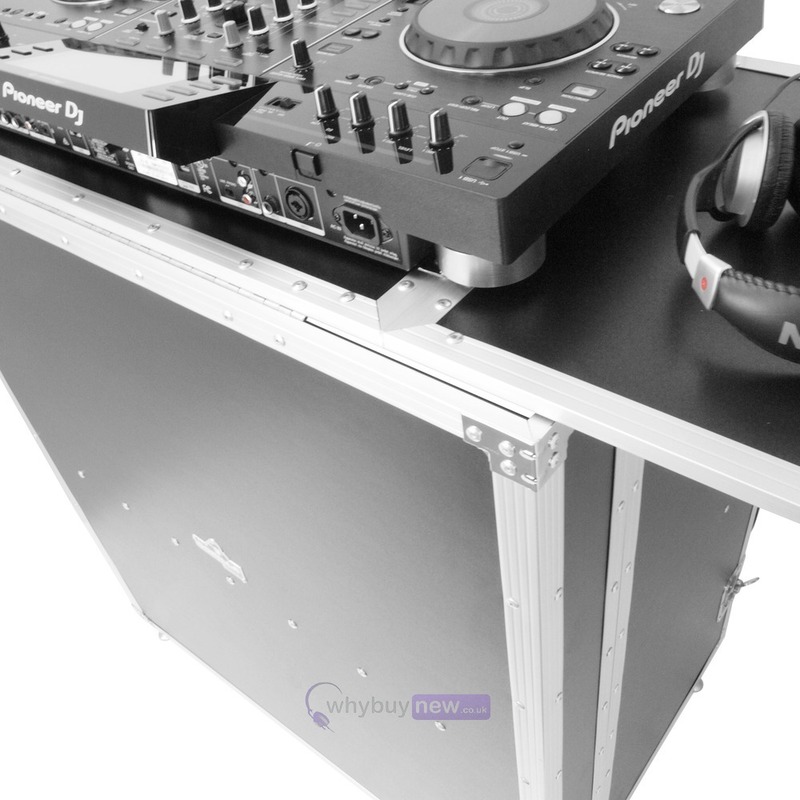 This superb looking Gorilla DJS foldable DJ Stand is made from hinged flight case type material to form an excellent DJ Stand Booth in less than 30 seconds! Once folded out, this stand is ultra sturdy with sprung braces for extra strength to the top shelf. 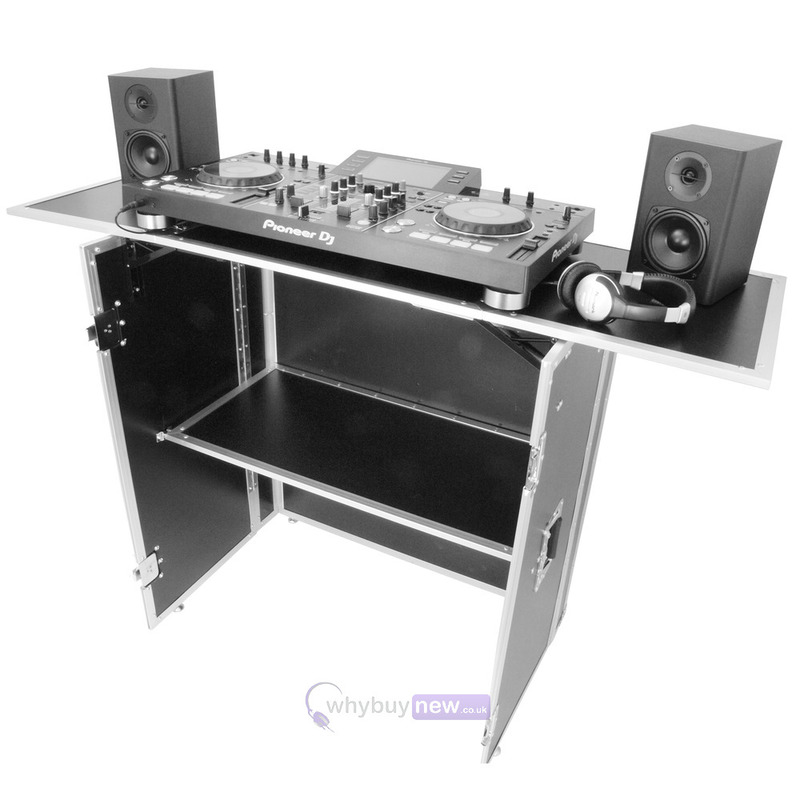 This complete workstation stand is also ideal for not only CDJ's, but also vinyl turntables with a DJ mixer or a full size coffin flight case. I ore ordered this desk as it was out of stock. It arrived exactly when it was supposed to. I’m really pleased with the build quality with all edges nicely finished off. It’s a really good looking professional piece of kit. 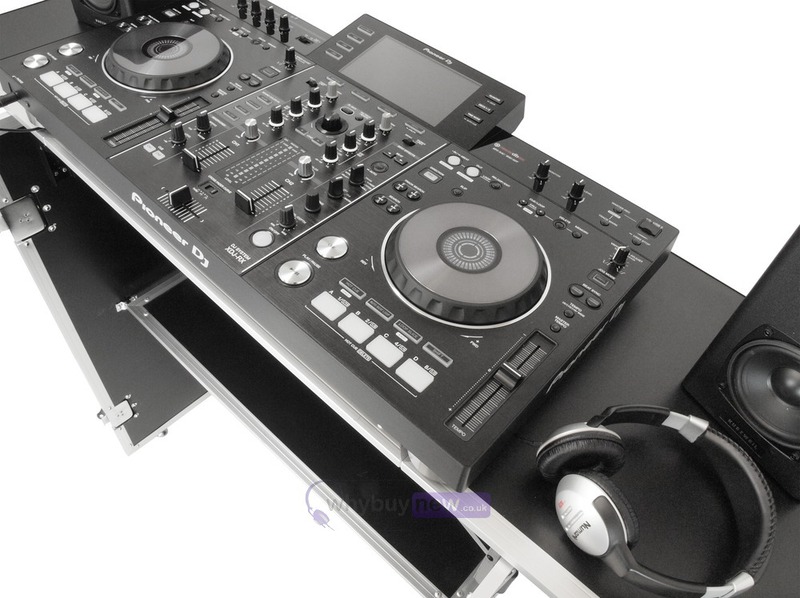 It’s sturdy enough to take a 16 channel powered mixer and lap top on the top with room on the shelf for my external hard drive and oth pits n pieces. 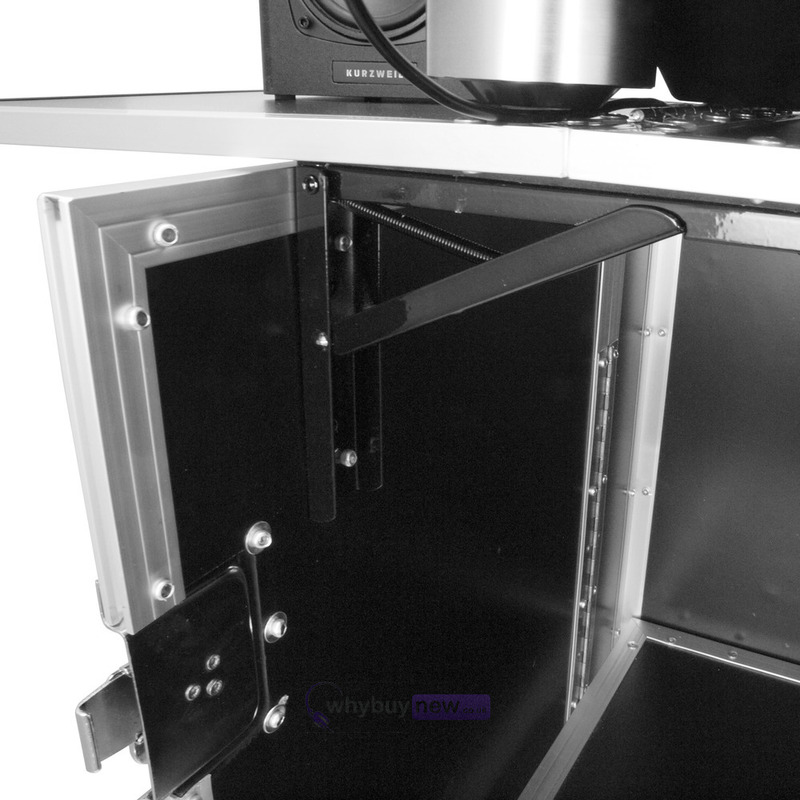 Would have liked an access hole, maybe on the front to allow cables through to lower shelf. But this is only a minor thing compared to the overall build quality. So easy to erect and dismantle too. 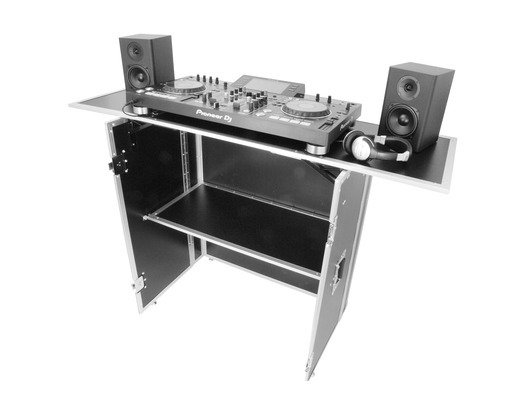 I bought this as i do a lot of DJ gigs for professional boxing, where i don't want to use a basic table, and I want to maintain that professional image. More importantly, I didn't want the back ache from leaning over, and this table solves that. It's the perfect height for working on, and has enough room to put my SX2 and macbook pro. It. I would say when folded up it could be more compact to stop the inner parts from freely moving in transit, and could probably save some space by doing so too. it would prevent the centre part that locks together from pushing in, as this causes undue stress on the locking mechanism. Also the handle can nip a bit when carrying, but it serves it's purpose and it's probably situated in the best place. I'd of thought there would be some rubber on the bottom for when setting it down. But that's easy done!! If your not space conscious and can accommodate this it wouldn't be an issue, the desk serves it's purpose and does it well. 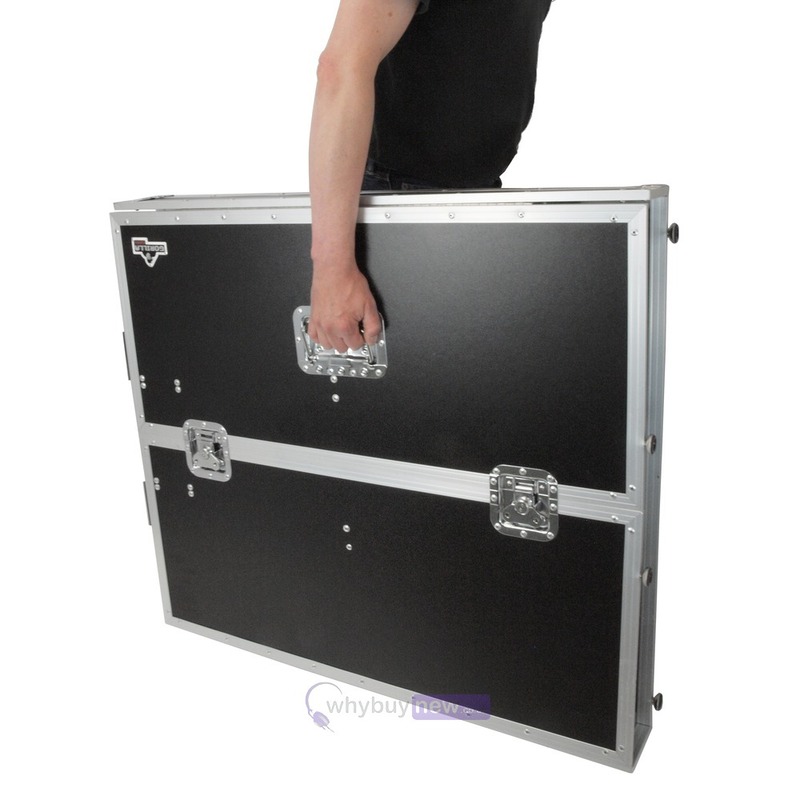 Overall, The unit looks good, and feels hard wearing as a flight case would. It opens up quick and i can assemble in literally seconds, so is perfect for quickness. The tops are sturdy, although i wouldn't lean on the end panels.... But it's definitely secure for your equipment.